Spectralux Avionics is a leading aerospace electronics company that develops and manufactures high reliability data link communication equipment that provides FANS 1/A, ATN CPDLC, AOC ACARS, and Condition-based Global Flight Tracking. Additionally, Spectralux Avionics provides human machine interface products that span the gamut of aviation requirements for critical aircraft systems that impact crew efficiency, performance and control, annunciation and lighting. Spectralux Avionics has a proven record providing data link communication products as well as lighted panels, keyboards, complex electronic assemblies and controls to regional and commercial air transport, business aviation, military programs, and now space with control panel assemblies for the Orion Spacecraft. 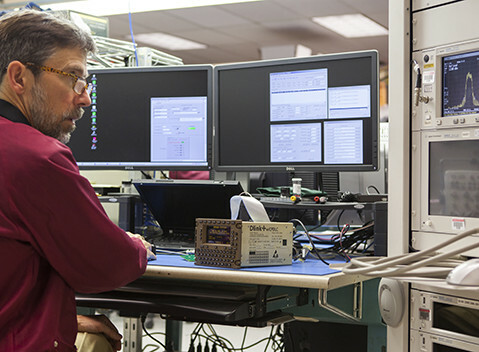 In addition to providing highly reliable products, Spectralux Avionics also maintains an FAA and EASA approved part-145 repair center covering class 2 and 3 accessories (#VLXR781L).